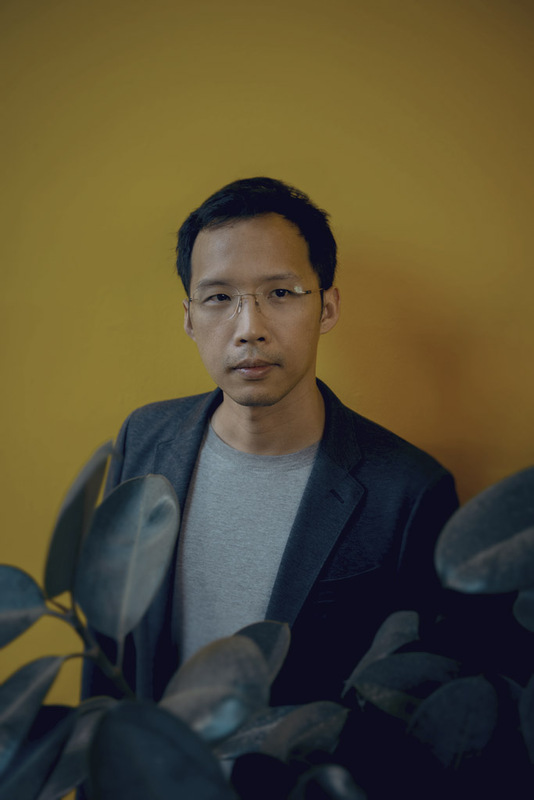 Mr. Oei claims he wasn’t seeking a position when he agreed to meet Mr. Chew Kheng Chuan, chairman of The Substation, for lunch, although he was aware of an ongoing head-hunt for an artistic director. After the meeting, he kept his promise to send Mr. Chew his thoughts on what should be done to run the arts venue. Those thoughts made up his plan of action for effecting changes in The Substation when he eventually agreed to become the new artistic director. 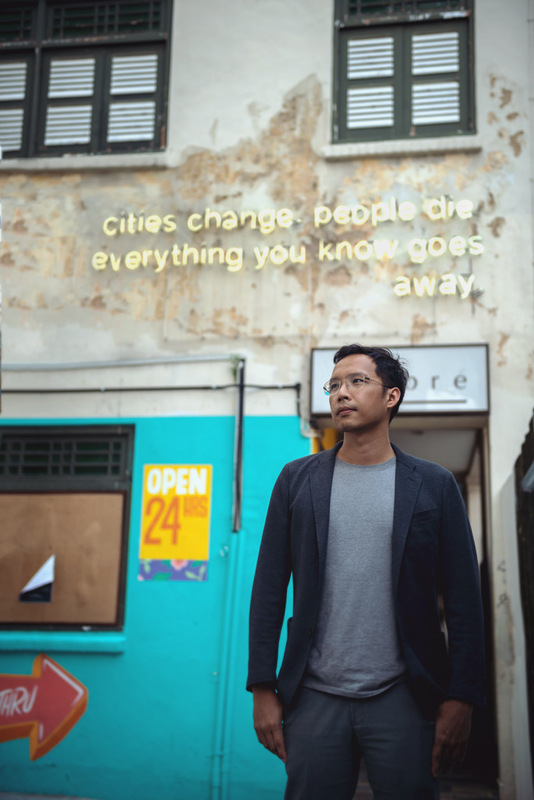 We sat down with Mr. Oei to talk about the state of the state at The Substation, the landmark projects he launched prior to his current posting, and whether or not the storm has passed over the much-loved arts venue. News reports mention that some members of the arts community were opposed to some of the changes that you wanted to implement (as the incoming head of The Substation). To what in particular were they objecting? There were two primary objections. First, that The Substation would stop venue rental – this was a particular sticky point because space in Singapore is so precious and hard to come by. Second, that instead of our eclectic discipline-based programming—that is, we had a film, visual arts and theater programs—that were run independently of each other, we would collapse the boundaries and each year's programming would be based on a single theme and cultural question about Singapore. Some of these programs, such as the Moving Images film program, had become iconic and much-loved, so naturally people were upset if these programs were going to be canned or significantly changed. How did you survive that period of dissent? I don't think of it as a period of dissent at all. Because The Substation has been around for so long, invariably it stands for different things with different artists. We organized sharing sessions that culminated in a Townhall; and all of these sessions were spaces for dissent, disagreement, but most importantly, they gave us a chance to talk face to face. I am very sympathetic to what The Substation means to different communities even if ultimately I disagree with how some artists want The Substation to stay the same. In a nutshell, what did you want to bring to The Substation? Do you think objections lodged by some members of the arts community to your plan were justified? Was it a matter of communicating or timing the introduction of the changes you wanted? My vision for The Substation is hardly original. If anything, it is a return to its roots as a public, civic space to lead cultural conversations through the arts. It has always been a valuable space where artists could do whatever they wanted, and while that's important, it also meant we had increasingly isolated ourselves from the larger public. Remember that in the past we were always engaged with society. Art is always political because it is ultimately about what makes us human—and that's political. It's about power relations, rules, laws, ethics. We were one of the precious few spaces in the early years to support counterculture, civil society, LGBT or human rights – all that's our DNA. So forget about themes or venue rentals, those were means to an end, the ends that we want to achieve is for us to return to our original vision and meaning. Did the objections change your original vision for The Substation? What changes did you make following the objection? Although I feel there are many other spaces now available for rental, we decided ultimately not to cancel venue rental and continue to allow others to use the space for their own events and programs. That was the one concession; everything else we needed to go ahead. So programming changed, staff changed, even the building space has been significantly changed. How are things at The Substation the moment? What are some of the key changes to the running of the venue and its programs? What is your state of mind regarding The Substation and your position in it? What are you proudest of? The way we describe The Substation is that it's an independent arts center. The word independent is ultra-important. We think of it as the Tenth Person of Singapore. If nine people agree on something, it's our ethical duty to disagree. Singapore is the kind of space where if you're not part of the mainstream, it's a really difficult existence. This is a long-winded way really of saying that The Substation, because of its vision, is always going to be in a difficult position. We're prepared for failure if people define it according to your usual yardsticks of publicity, number of visitors, and international acclaim. But it's been around for 28 years. That's 28 years of going against the norm and supporting those on the margins. That's success that’s not about personal success. It's about me learning to grow into the role of what The Substation needs as an institution that makes a difference. What are the revenue streams of The Substations, and of these, what contributes most to the viability of the venue? How is The Substation monetized? This is a cute existential question. Can we take government funding and still call ourselves independent? I think we can as long as we remember that we serve the public and not ourselves or the government. A third of our revenue comes from the government, another third from venue rental, and the last third is always a challenge: tickets, fundraising, sponsorships, goodwill. How else are you introducing innovations to The Substation - in terms of running the house and its programs? Moving to an annual theme and cultural question is significant for me – it means that we think larger than the arts. We work with cultural questions that have significance not only for artists but for all Singaporeans. For example, last year was about Discipline the City, about how architecture and design is co-opted to control and organize space, especially through defensive architecture. This year our theme is about another form of control through heritage and history. Our depressing theme is "Cities change. People die. Everything you know goes away." We live in a city that is constantly erasing itself. We're not so interested in what we should save, but why the deep-seated anxiety and nostalgia permeates our urban lives. What does The Substation mean to you personally? What else do you think The Substation can be? It's national service. It's incredibly challenging and thankless, but there's a space for failure, as Kuo Pao Kun, our legendary founder says. Things are cyclical, and if we fail, maybe somewhere down the line, other people find a better way to do it. I hope that eventually Singapore can be more open and inclusive; the entire Singapore should be a home for the arts, that's our tagline. Notice that it's ‘a’ not ‘the’. In such a society, we wouldn't even need The Substation anymore. I hope for the day when The Substation isn't a stop-gap measure for the fringe and margins, and perhaps we can be completely irrelevant in a Singapore that loves and cherishes humanity and the arts.